The son of Thomas Burgkmair, Hans was born in Augsburg in 1473. He received his initial training from his father in his native city. In 1488 he entered the workshop of Martin Schongauer in Alsace in order to complete his apprenticeship. On his return to Augsburg in 1490 Burgkmair worked with the printer Erhard Ratdolt, designing prints. In 1498 he was granted the right to work as an independent painter in the city and from that year onwards is registered in the painters’ guild with apprentices in his charge. Shortly after this date Burgkmair secured his first important commissions: the decoration, together with Hans Holbein and the Master of the monogram LF, of the chapterhouse of the Dominican monastery in Augsburg. In 1503 Burgkmair embarked on a study trip through the Lower Rhine area including Cologne and possibly the Low Countries. It is generally thought that he made a trip to northern Italy, possibly in 1507, given that his style manifests a combination of the northern German tradition with Italian Renaissance motifs. 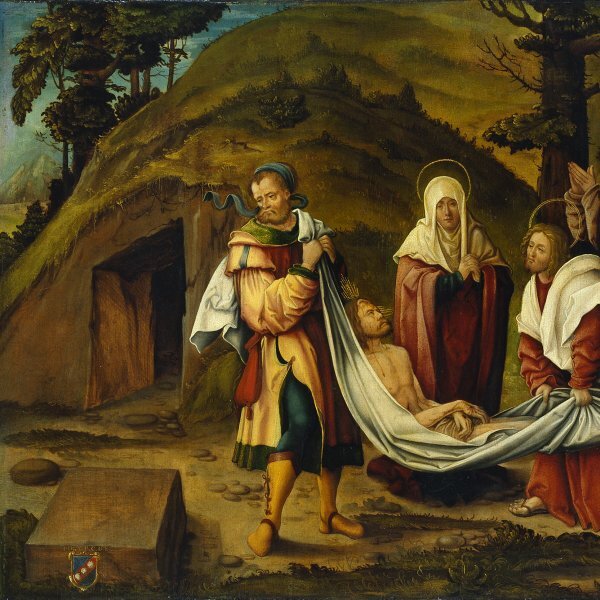 Burgkmair’s altarpieces and other religious compositions contributed to the disseminationof the Renaissance in Germany. Over the course of his career Burgkmair produced around 700 prints and also developed new techniques in this medium. He was, for example, one of the first graphic artists to use colour-printing methods. Like Dürer, Burgkmair received commissions from Maximilian I and played an important role in the Emperor’s ambitious graphic projects, including the illustration of the autobiographical books the Theuerdanck and the Weisskunig. He also executed most of the Triumphal Process of Maximilian I, a series of 139 woodcuts conceived as a continuous frieze. Burgkmair also executed commissions for other leading patrons of his day such as the Elector of Saxony, Prince William IV of Bavaria and the Fugger family.